It isn’t everyday that you play a game that incorporates a component as gimmicky as time traveling and turns it into an amazingly unique and creative experience. 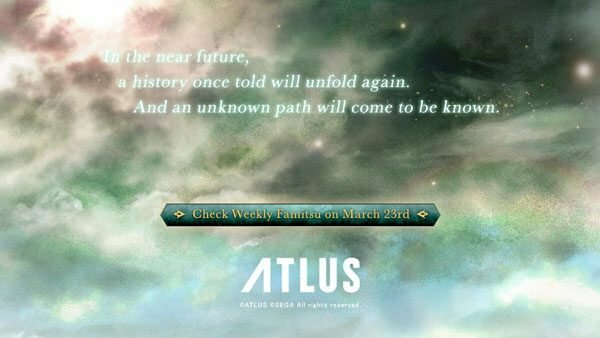 Radiant Historia from popular JRPG centric developer Atlus is one of the most unique games I’ve ever played, and this is all thanks to how well it wields its intriguing time travel component. Mix that in with a deep and interesting story and a very solid JRPG foundation, and you’ve got a winning recipe and one that will keep JRPG fans playing for dozens of hours. Read on to learn why this instant classic is definitely what you should have in you DS right now. If the name Atlus means only two things, those things are Japanese and RPG. The game just screams quality in almost every department, and in general is just a real treat to play. It doesn’t push the boundaries in the combat department, and sometimes that made it a little hard for me to love, but there is simply no denying how awesome of a gaming experience Radiant Historia is. The premise of the game isn’t too amazing at first, but things quickly spiral into an incredible tale in which the entire world is at stake. The story focuses on Stocke, a young and brash soldier from the country of Allistel. Allistel is torn in a fierce war with the country Granorg and at the beginning of the game, it seems Granorg is winning. They are warring over resourced land because large parts of the planet are turning into sand because of some unknown phenomenon. This transformation has been happening for a while, but is now rapidly occurring. This presents a bigger overall issue than the war between these countries, but obviously mankind will fight until they’ve destroyed everything. You are given your orders and two subordinates, Raynie and Marco and the game begins with a hefty task of rendezvousing with an agent to collect information to aid in the war. Before you leave, your superior, a very devious looking individual named Heiss, hands you a large tome. He tells Stocke that this book will aid him, but all the pages in it are blank. After a quizzical look at it, you and your companions set out. As you begin the mission, Stocke receives a frightening vision in which both of his accomplices are murdered and their mission is failed. Putting the thought out of his mind, they go on to complete the mission when his vision actually begins to come true and a powerful opposing officer utterly slaughters Raynie and Marco. Stocke manages to escape and is magically transported to an interesting looking world. Two young children introduce themselves and explain that this world is the Radiant Historia, and that the book Heiss gave Stocke is the White Chronicle, a magical book that grants its wielder the ability to go back in time and change history. From this point on, the story splits up into two paths called the alternate history and standard history. These story paths further branch out into tons of different ‘endings’ to the story. Many significant decisions are left in the hands of the player, and the outcomes of those decisions affect how the game proceeds. For example, in one situation you are looking for a merchant who is supposed to be giving you the explosives you need to defeat a group of enemies. You can choose to wait for the merchant to show up or to send out a team to scout for the merchant. If you choose to go looking for him, your team will be ambushed and you’ll all be killed. After this you’ll be shown a short message chronicling the outcome of your decision and the White Chronicle will be updated. 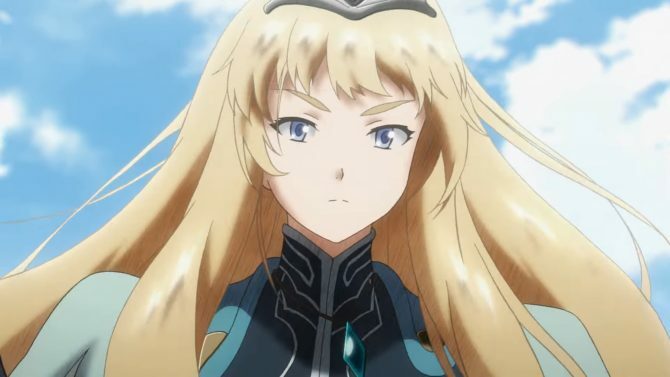 You will then show up back in Historia and then have the opportunity to go back and choose to stay put, which will have an entirely different result. This mechanism is simply brilliant, because it encourages the player to make any choice they see fit and doesn’t punish them for any choice. There is no right or wrong decision to be made; only decisions that prematurely end the game and those that continue it. As you can probably imagine, this would make following the story extremely difficult. This isn’t the case however, as an in game glossary or the White Chronicle, tells you everything that has happened and logs all of your decisions and their results. It also shows when an alternate outcome has been missed by illustrating a branching path that leads nowhere. Since there are two main story paths, you spend a lot of time jumping between the two alternate historys, making changes that dramatically affect the progression of the story. Sometimes you won’t be able to progress the alternate or standard history because of something that must be done in the other history. For example, you’ll need to learn a special sword technique to progress the alternate story, but the only character who can teach it to you is on another squad. So at this point, you have to jump into the other history for your chance to interact with the character, and then when you’ve eventually learned what you need to know, go back to the alternate history to further progress the story. This component makes Radiant Historia a game that absolutely NEEDS to be played. I have never, in any game, seen something so unique and innovative, even though there are lots of games with time travel elements in them. There is such a feeling of freedom and boundless opportunity as you play the game. Nothing can escape you, and if it does, you can just go back in time before it did. Ever played an RPG where there is a certain item or something that you have to get at a specific time or else your chance at the item is indefinitely lost? Well, in this game you would be able to just go back in time to that moment and get the item. The time travelling takes Radiant Historia from being a decent JRPG to one that genre fans have absolutely no right to miss out on, if only for this one element. It may all sound a little confusing, but after you’ve played it, you’ll understand perfectly. The many characters are all developed pretty thoroughly, and they all become familiar after you play for a certain amount of time. The visuals in the game are absolutely nothing special. They’ve chosen a pretty flat, sprite heavy, 2D appearance in favor of 3D character and enemy models, although many of the environments contain 3D elements. The lack of any voice acting means that all dialogue is text. Important characters get lovely portraits for when they speak. 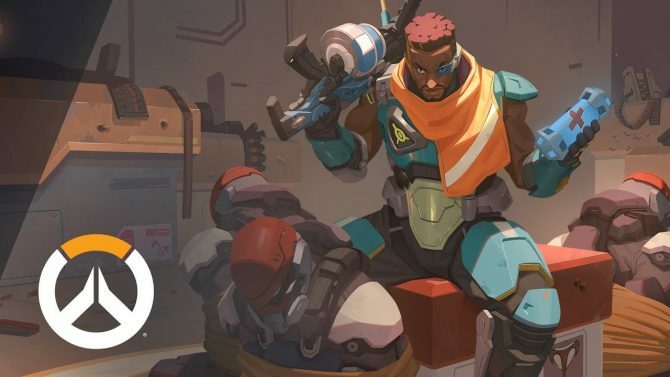 These portraits are visually pleasing, evoking the same art style as the game’s cover art. They are colorful and give the game a classy, kind of sophisticated feel. They look like paintings. The actual sprites I feel a lot less strongly about. It’s not easy to tell one character from the next, and this only seems to get worse as time goes by. I find the game looking like one of the early Final Fantasy games in some spots, which is just a tad bit disturbing considering the age gap between these games. Now, you probably don’t hear me say this type of thing normally, but the graphics are worth looking past for this game. I know that each component of a game is important, and graphics are no exception to that rule, but they aren’t too good here. The game is still more than worth playing in spite of this. Last year’s Golden Sun: Dark Dawn is an example of a Nintendo DS game that does much more visually than this game. And let’s be honest: it would probably be impossible for fans of this genre to care any less about visuals. I am a big fan of the music in this title. First of all, I would like to point out that new copies of the game come with a piano collection disc. Seeing that already gave me high expectations of the music and it delivers. The battle themes are exciting and up tempo, the slow and sad songs have the desired effect and the ominous, threatening tunes are deep and multilayered. I have almost no gripes with the music because it is executed so well and it really matches its accompanying imagery well also. 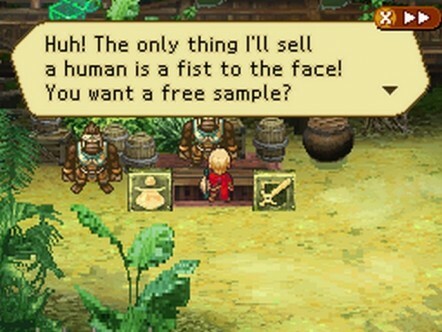 From a technical perspective, Radiant Historia handles itself well. The visuals are unremarkable but do accomplish their task, and the music and story(s) are masterfully executed. 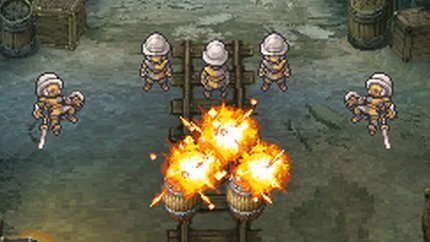 The game play in Radiant Historia is good, but I view it more as a way to hold together the fabulous time jumping and story than as a unique component of the game. Fights are instigated by touching enemies as you explore in the wilderness. Combat is turn based, on a small grid of nine squares. I wouldn’t really call it grid based because your party does not stand on a grid, only your enemies. You will need to use the enemy’s position on the grid to your advantage, as they will certainly use it to theirs. Each character has some kind of technique or attack that will move the enemy to another position on the grid. Enemies can be bunched into the same square, allowing you to land an attack on all three of them with just one character. This can be used to engineer some awesome strategies. For example, early in the game, Raynie’s poison attack is pretty useful for chipping down big bad enemies. If you use Stocke to get two enemies into the same square, Raynie can hit them both with the poison attack, hitting two birds with the same stone. This is admittedly interesting, although other than that little else about the combat stands out. Each character has certain applications that they are best at, like just about every JRPG ever (magic caster, tank, etc). Later in the game, a new meter is introduced that allows you to do a special technique when it is filled. You unlock various new specials as the game progresses, but I found that for a long time turn break (the first special) was the best. 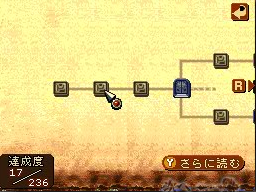 It cancels an enemy’s turn and still lets the character that used it take a turn. This is an essential technique because enemies will eventually start getting a lot more turns than you for no apparent reason. One of the boss enemies just about half way into the game gets like three turns for each one of your character’s turns and he is a complete pain to fight because of this. It screams unfair and cheap, but this happens very rarely in the game. The weapon and armor system is pretty standard and solid. 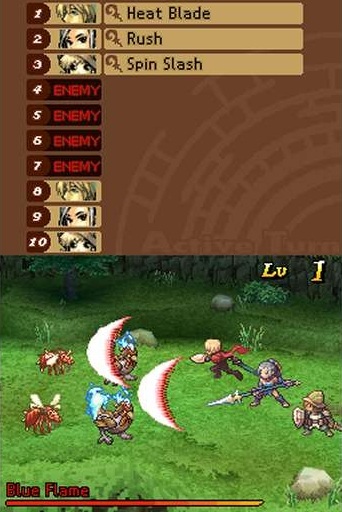 Characters can also equip up to three accessories at once. A noticeable element of the accessories is that they get pretty useful later into the game. I am not a fan of ‘+1 Speed’ type items, so this was a big addition for me. One thing that cannot be excused is the lack of any kind of map or navigation device in the game. The areas are generally not very big, but I got confused numerous times without it. It seems like it was forgotten and seems to give every area a small, underwhelming feeling. I doubt they actually forgot to implement maps, so I have to assume that they left it out on purpose which just doesn’t make sense. Like I said, the areas aren’t big so most of the time you memorize them before the lack of a map becomes too much of a problem, but this is a glaring issue in a mostly awesome game. The game scales the enemies to the level of your characters, which works most of the time but seems a little odd when you go into the past. For example, a level five area becomes a level forty area when you go back in time at level forty. You can’t really say that this is a problem though. After you reach a certain point in the game, you will be able to find hidden objects. If you stand close enough to one it appears. Sometimes these are traps placed so that you step on them and lose health, but most of the time these are treasure chests. The game uses save points. You can use the save points to go to Historia at any time, for any reason. I noticed that most of the time when you HAVE to go back in time, a save point will appear. You also get a lot of guidance from the small children most of the time, concerning when you should go back in time. RPGs, and JRPGs in general tend to ‘expect’ things out of the player. They expect you to know what to do and expect you to know where to go. The less a game does this, the better it is helping the player to enjoy the game and avoid frustration. I always keep my eyes peeled for things developers expect me to know, so that I can trash them a little for it. I can say with relative certainty that RH doesn’t expect you to know very much because it guides you from point A to point B very well. It’s made extremely plain what’s expected of you most of the time, and I like these. Sometimes it gets a little awkward, like “Okay off to the hills, we’re going to the hills, remember we have to go east to the hills” but this is a good thing and most of the RPGs I’ve played recently have failed in this area. I also like that there are lots of hidden story tidbits. 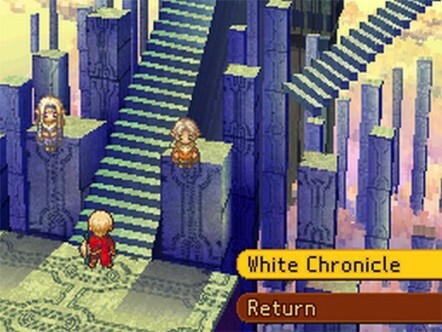 You can play through the game without exploring the White Chronicle and miss out on a lot of additional dialogue and content. When you see the branching paths in the encyclopedia, you feel excited to go back and try to find an alternate outcome for the situation. These are sometimes hard to instigate, because you aren’t often told exactly what needs to be done to see the other outcome, but at the same time this is kind of like an extra. If you’re even playing this game, then you’ll probably want to see all there is to see and you’ll always be able to do this. There is like a built in new game plus feature because you can return to the beginning of the game at anytime. They have also been selling this game on its combat since there is a lot of noise about it online, but you should know that it isn’t altogether very different from a traditional turn-based game. 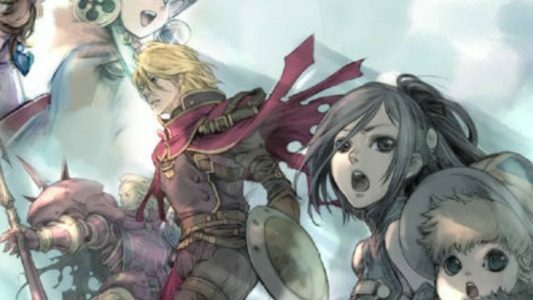 There is almost nothing to dislike about Radiant Historia as an RPG. It’s built on solid JRPG staples and deepened by its remarkable time jumping mechanic and gripping story. The combat, exploration, customization and progression don’t push any boundaries, but they all work perfectly. 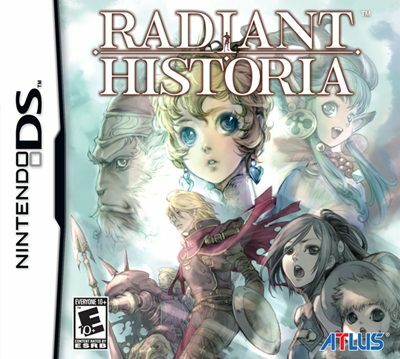 At the end of the day, Radiant Historia is not an ordinary game – it’s a gaming experience. Every fan of the JRPG genre should play this game, end of story. 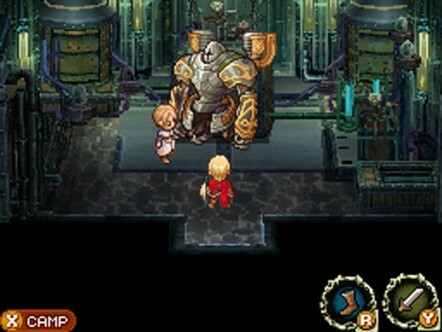 Is Radiant Historia Attempting What Chrono Trigger Perfected?